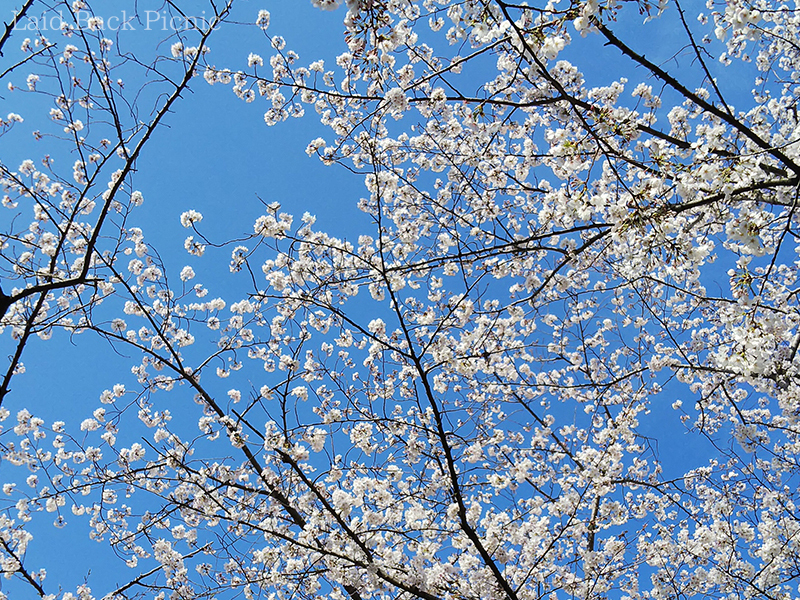 It is a park on the east side of Tokyo. 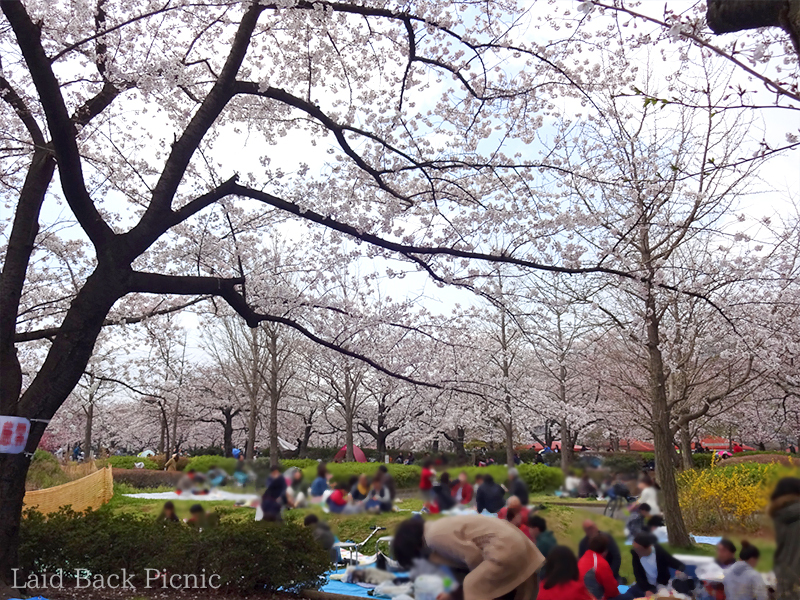 The famous park is very busy with the cherry blossom season. 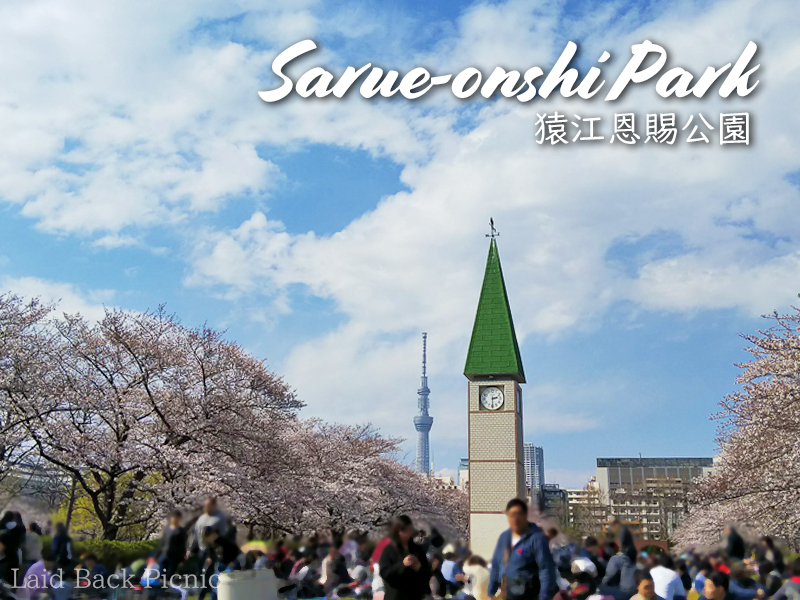 However, there are not many people who know Sarue-onshi Park. 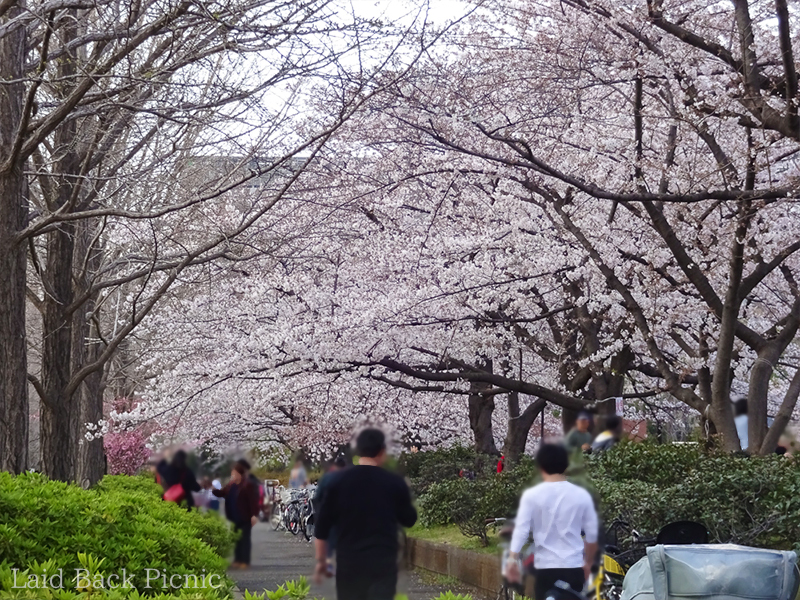 2 minutes on foot from Sumiyoshi Station and 15 minutes on foot from Kinshicho Station. A lunch and drink is sold on the first floor of Marui's basement in front of the Kinshicho station. 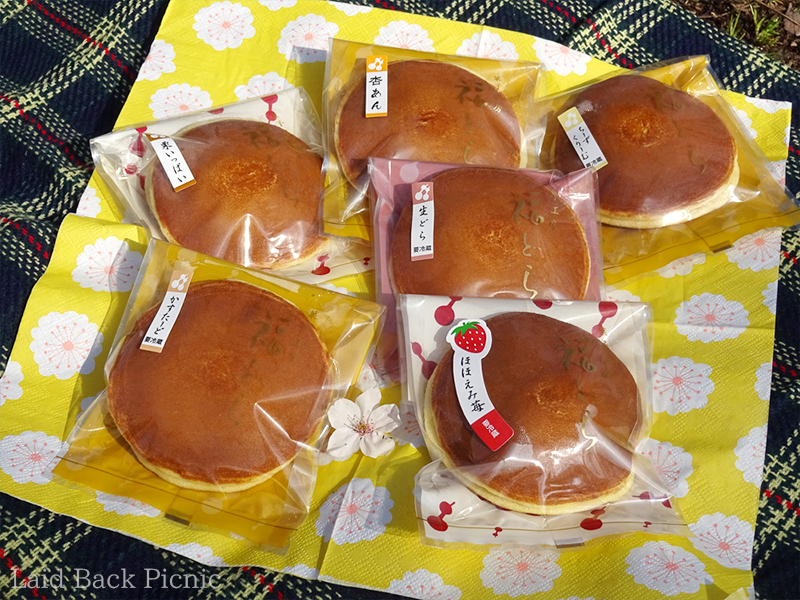 Near Sumiyoshi Station there was a "Dorayaki*1" store.